RED Electrical - VAT on solar panels - do businesses get the reduced rate? This is a subject that crops up periodically, usually when we are quoting for solar panels for a non VAT registered business. VAT-registered organisations can claim the VAT back on their quarterly returns, but for others it does increase the cost of solar panels. In a nutshell: VAT is charged at the reduced rate of 5% on the installation of solar panels in, or in the curtilage of residential accommodation. Take note of the two underlined parts, as both are applicable in order to qualify for the reduced rate of VAT. The reduced rate is not applicable to supply-only arrangements, nor is it applicable to non-residential accommodation. If a salesman has told you this, he is either ill-informed, or (more likely) hoodwinking you into placing an order. Do you wish to purchase from a firm represented by such an individual? The taxman never has special offers, more’s the pity! If a company charges you the wrong rate of VAT, this would be picked up on their periodic VAT audit. 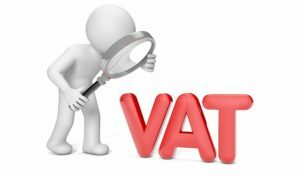 Any company that can supply at reduced rate VAT is subject to regular VAT audits, therefore it is likely that it would be discovered, in which case they would be ordered to pay the lost revenue to HMRC. They’ll then be asking for that from the customer!